As part of the process of applying for a position, Interfolio's Faculty Search collects data such as the names, emails, and contact information of applicants along with typical documents such as cover letters, CVs, and letters of recommendation. 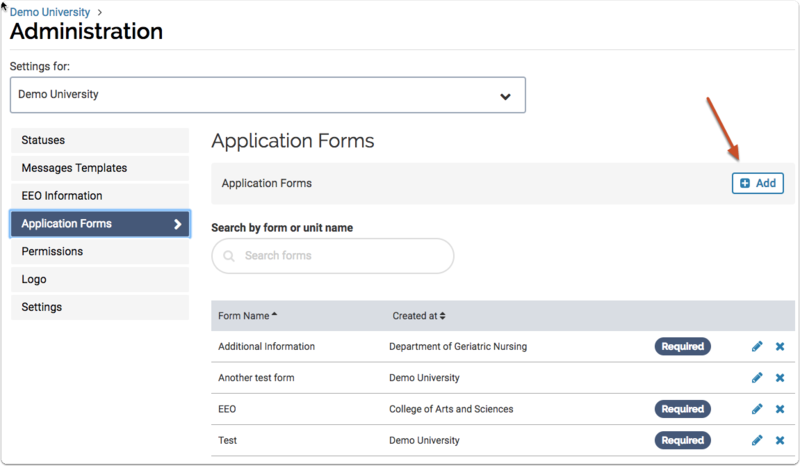 Administrators can collect additional information by creating custom application forms. Once created, Administrators can add the forms to new or existing positions within their Interfolio account. 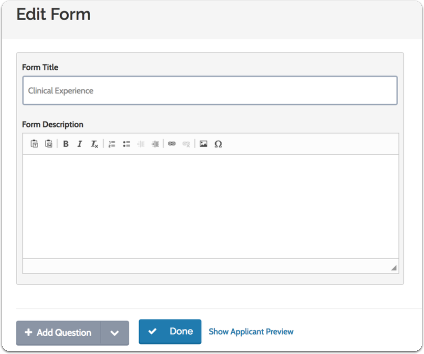 Administrators can also mandate that a form be required for every position created within their unit. 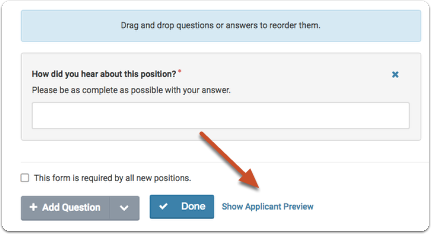 This means that lower level administrators will not be able to remove the form requirement when creating a position. 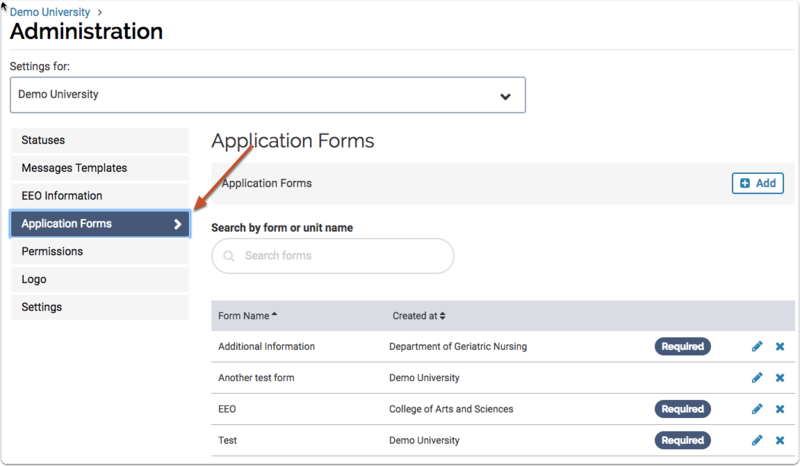 See here for more information on making any form mandatory in Faculty Search. 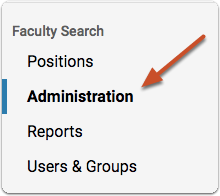 From the navigation pane, select the Administration option. The form you create will be available to positions created at or below the unit displayed. If forms are already available to this unit or position, they will be displayed in the list. 5. 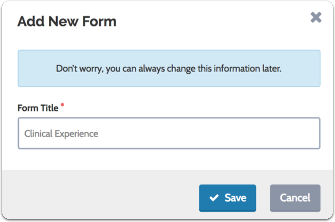 Give your form a title and click "Save"
Enter a description of the form. You can choose between five question types. See below for a description of the available question types. 9. 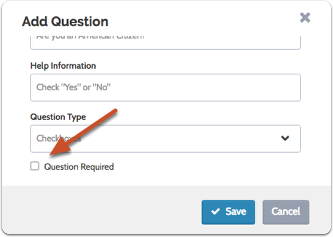 Indicate if this question is required and click "Save"
Requiring this form will prevent administrators of lower level units from removing the form as a requisite for posting new positions. You can create five types of questions. 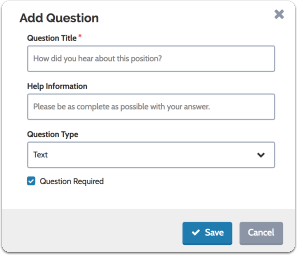 Text questions prompt applicants to respond with one line of text. These are best suited for short answer, free-form responses. 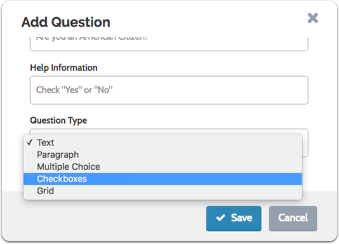 Provide applicants with an entire text box for their answer. Best suited for longer, paragraph-form responses. Presents multiple answers and applicants can choose one. This type of question can also work for True/False, Yes/No, and other binary questions. You can also provide applicants with a box for "Other," where they enter their own answer. These provide applicants with multiple answer choices, of which they can choose one or more. You can provide applicants with a box for "Other," where they can enter their own answer. 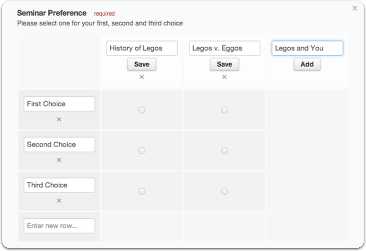 Applicants can select one option per row. This type of question can be used to express preferences, e.g., which courses the applicant would like to teach. 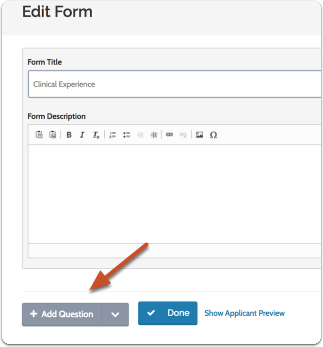 Once your questions are added you can drag and drop to change the order in which they appear and also add formatting to customize how the form displays. Section Divider: A simple horizontal line that can visually break up the form. Section Heading: A large-text label that can be placed atop a discrete section of your form. Section Description: Contextual text that can be tucked underneath a heading and above the actual questions.